Addis Ababa, Ethiopia: “Africa, today you have reclaimed your digital identity. 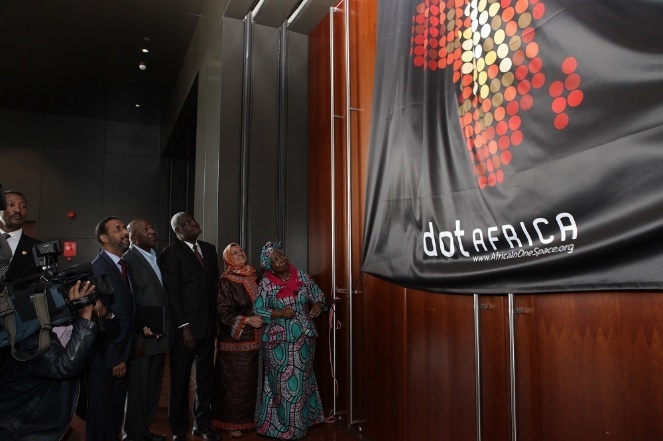 dotAfrica will allow us to tell our own story”, African Union Commission Chairperson Dr Nkosazana Dlamini Zuma said at the launch of the dotAfrica domain, held at the African Union Commission on the 10th of February. DotAfrica is the new Top Level Domain (TLD) for the African continent. It is an African initiative created by Africans for Africans and the worldwide audience of companies, organisations and individuals interested in, associated with and connected with the African community and markets. The origins of dotAfrica date back to 2000 when a handful of African Internet professionals strongly argued that dotAfrica should be operated by Africans for the benefit of the entire continent. In view of the demands expressed by the African community at large, African Union organs requested the AUC to fast track the launch and operation of dotAfrica. The Commissioner of Infrastructure and Energy of the AUC, Dr Elham M.A. Ibrahim, during her opening remarks, acknowledged the tremendous contribution of the dotAfrica team led by Mr Moctar Yedaly, Head of Information Society Division, which worked tirelessly for the last eight years since the AU member states mandated the AU Commission to embark on the venture of securing an African domain. She also expressed gratitude to member states and the AUC leadership for supporting the department to deliver on Africa’s first ever domain for Africans by Africans, which she pointed to as a major achievement for the African Union Commission and the continent. The Commissioner concluded her speech by calling on Africa to start to reserve domain names. The ceremony was also attended by outgoing AUC Deputy Chairperson Mr Erastus Mwencha, incoming AU chairperson Mr Moussa Faki Mahamat and his Deputy Ambassador Kwasi Quartey.